Formed in Phoenix in the late ‘60s, the Alice Cooper Group was one of rock’s most influential acts; it essentially introduced the term shock rock into the modern lexicon. Lead guitarist Glen Buxton, rhythm guitarist Michael Bruce, bassist Dennis Dunaway and drummer Neal Smith backed Cooper on his biggest albums, including 1973’s Billion Dollar Babies. The band split at that point, but Dunaway continued to tour and record with his bandmates as Billion Dollar Babies. 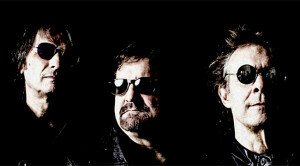 Now, he plays in the hard rock/garage outfit Blue Coupe with Blue Oyster Cult’s Albert and Joe Bouchard. He’s currently writing a book about his early days with the Alice Cooper Group, and he spoke to us via phone from his Connecticut home. So, how’s the book coming? My publisher wants me to cool it on details. It covers the Alice Cooper Group — the original group — and everything that I can remember that happened. I’ve been working on it for two years now. It’s hard to believe that after working on it so thoroughly, it still comes down to what feels like a mad dash to the finish line. It will be out on St. Martin’s Press. It’s top shelf publishers and agents and I’m really happy with the team. Everybody is on the same wavelength. My wife Cindy and her brother Neal, who was the original drummer, both faithfully wrote their mother once or twice a week. We have all of those letters. Cindy kept diaries almost daily for the whole duration. She was with the group for most of the time and made the costumes. She was a big part of it, even though it’s too bad they left her out of the Super Duper Alice Cooper movie. That will be compensated for in the book. She has plenty of stories. Back then, all I did was observe. I was the guy in the back of the station wagon listening to everyone else fire off these great jokes. Glen was so funny, it was unbelievable. Everybody knows how witty Alice is. Neal and Michael Bruce were also funny. It was almost like a talk show with all comedians. I was the quiet one. Any time someone said something that was interesting, I would jot it down on a piece of paper and toss it in the bottom of my suitcase. We would get back home and Cindy would yell at me and say, “Look at all these scraps of paper.” When you write something down, it helps you remember that in your mind. It’s all pieced together. There are a heck of a lot of stories that I can’t believe no one has ever heard before. After my daughters hearing me for years talk about this and that, they said, “Shut up and write a book.” They challenged me. How’d you first meet Alice? We went to Cortez High School in Phoenix. I was a sophomore. I started as a freshman during the second year the school was open. Even though it was a very strict staff, they didn’t have their rules down yet. I had a very “Ferris Bueller” setup going. Alice and I were in art class together. There were a few good artists in our class but it was pretty much girls. The only guys who took it wanted to get an easy course; they didn’t care about art. Alice and I both loved Salvador Dali and all the pop art and everything that was going on in New York City with the Chelsea Hotel. We became good friends immediately and we also ran long distance on the cross-country team. In that Arizona heat, pulling cactus thorns out of your socks after a long run will bond you together. We were also in journalism. Back then, that also was an all-girls class. I signed up for journalism and boy did the other athletes come down on me for that until they realized it was another one of my schemes. I was in the classroom with all of the girls. I became the sports editor. Alice stepped into my shoes after me as the sports editor. We promoted the heck out of our band the Ear Wigs, a Beatles spoof band. That’s how we became friends. We were only 16 when we met. The first song was after we got Michael Bruce into the band. We started out crawling, like musicians do. And then we learned how to walk. Instead of doing obvious cover songs, like the latest Rolling Stones’ release, we went the album cuts. We would do a song that people weren’t familiar with and they thought was ours. Michael Bruce wanted us to start writing. So Alice and I wrote “Don’t Blow Your Mind.” I think that was in 1966 and then cover songs went out the window. Was it hard to make that transition? It’s not once you get going. There is the famous story of how Andrew Loog Oldham locked Mick and Keith in a room and told them he wasn’t going to let them out until they wrote a song. Dipping your toe in the water is the hard part. We were off and running. After that, the flood gates were open. What broke the band apart? We didn’t know it until later because we thought we were taking a year off and then doing another album. Everybody else in the world knew the band broke up before we did. We had a carrot dangling in front of us just in case people didn’t accept Alice as a solo artist. It happened as the same time as Watergate and it’s about as easy to explain as that. There are many factors. Mostly, the biggest factor for me was up until the Billon Dollar Babies tour, the band was in control of the creativity and that creativity guided decisions. After that tour, we went to big arenas and that was something new. It created this monster where decisions were made based on how many seats you were going to fill. That went against everything the band was for. That was the biggest factor for me. I never left the group. I never did any of the things they said we did. I never refused to do theatrics. We did theatrics because of me. I never said I wanted to split up the money. All money meant to me was something to make a better show. We had some big shows and big ideas. When we got successful to incorporate that, then, they started saying, “Here’s the blueprints for your next stage.” We already had the next stage. There was a lot of conflict like that. The separation of the group from Alice was not my idea. They had bodyguards who were screening us and telling us we couldn’t ride in Alice’s car. It wasn’t what we were about anymore. How’d you patch up your differences? We’ve always been on good terms. That’s why we never sued Alice over the name. Neal and I and Michael had lawyers and things were in the works. We didn’t start the band for money. We started it out of friendship. We wanted to spend it on friendship. We spent so many years in the same car and same hotel room. It’s family. You don’t like everything that everybody in your family does but you still love them. Alice and I get along just fine. Neal is my brother-in-law. Michael I don’t talk to as much as we used to but we pick up where we left off. Talk about how Blue Coupe first came together. When we first became headliners as the Alice Cooper Group, we had an opening act, Dr. John. He was using a snake. We told him he couldn’t use a snake. He said he used a snake before we ever did. We told him he couldn’t. He kept using the snake and we needed another opening act. We were at a festival in North Carolina and Alice and I were out in the crowd. It was a beautiful day. Blue Oyster Cult came on stage. They were great and we became friends. In 1972, we did Billion Dollar Babies shows together and it helped their career. I didn’t know this at the time, but they were ready to throw in the towel. Joe and Albert and I and [Donald “Buck Dharma” Roeser] and that gang have been friends all through the years. Joe lived in the same town as me. I saw him on the train to New York one day and realized we lived a few blocks away. We would get together and jam and make demos. We did that for years. Albert got an offer for a gig and we did a benefit show for CBGBs when they were trying to keep it open. We were on stage together and this guy saw us and wanted us to do a gig. Joe and Albert are both music teachers and they have photographic memories for lyrics and chord changes. They just wanted to wing it. We went to this place and the crowd was going nuts. We were playing songs and the place was going nuts. We did another set. I couldn’t believe we played two sets without playing together officially before. And the band was born at that point? Shortly after that show, we made it official. We recorded two albums now. Tornado on the Tracks and Million Miles More. We got a Grammy nomination for “You Like Vampires” so we did another album—Million Miles More. Alice sings on it. That new single, “Hallow’s Grave” is being submitted to be considered for a Grammy. A couple of the Dictators are on it. The good thing is that we have guests like many people do on their albums. Sometimes that adds a texture that takes away from the coherency of the album. Here it doesn’t. Everything sounds like Blue Coupe. When we play live, we sound like five people because we have a drummer that sings and lots of harmonies and a big rhythm section sound. The best thing is that we have a lot of fun. It’s 50 percent BOC and 50 percent Alice Cooper fans. A third of the people who show up now are Blue Coupe band fans, so it’s building.